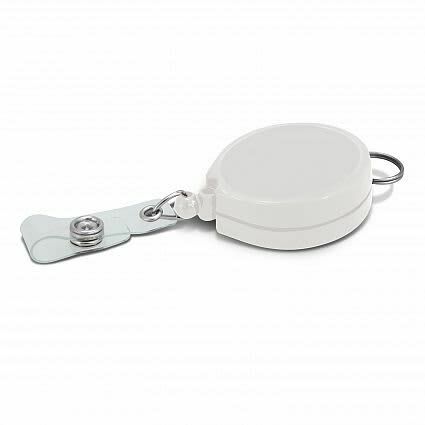 Keep your items and neck safe from harm’s way with the custom Alfa Retractable ID Holder. It is equipped with a reliable steel spring and a standard dome attachment to protect your plastic ID cards and card holders. 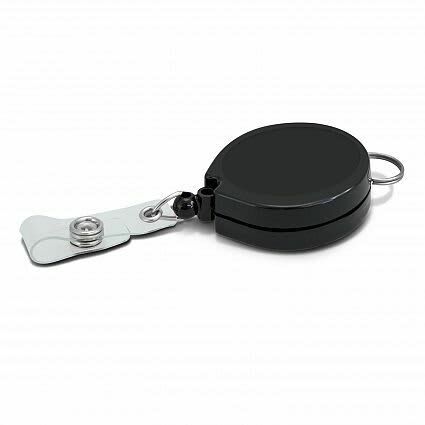 The pocket clip on the back and split ring on the top allows it to comfortably attach to any type of lanyard. It has a big surface area to promote your logo or messaging. Resin Coated Finish 28mm circle (plus bleed if required).